Caroline Dilbeck - Page 3 of 29 - All things home. I love this series so far! (see other projects here, here and here). It is so fun for me to peak into your homes from afar. Thank you to all of you who submitted photos, problems and comments(!!). I can’t wait to review them in the coming weeks and come up with fun ideas for your spaces. This week I am taking a look into Carrie’s home. 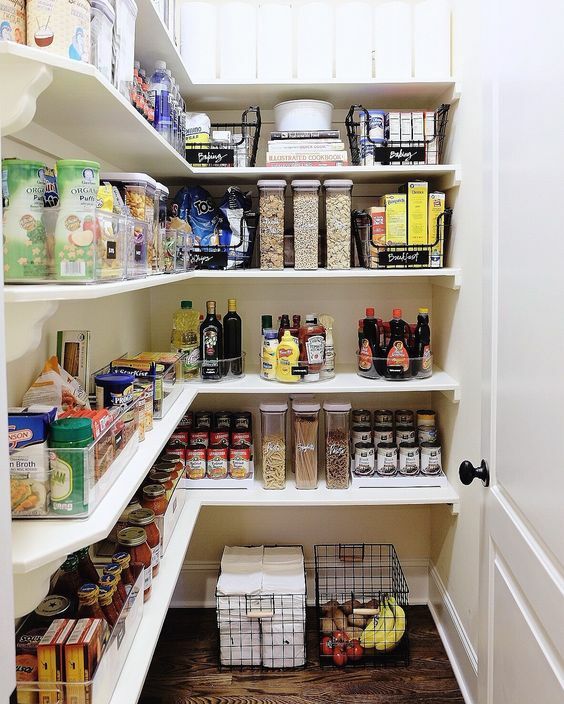 She has an amazing pantry space with built in shelves, and floor to ceiling storage. Divide foods by category: Canned goods, snack foods, fruits, paper products, breakfast foods, pastas and grains, cereals, drinks, baking items, chips, condiments. Measure the shelves to ensure any organizing products are the right size for the space. Top Shelves: Seasonal items, bulk storage, lighter paper products (TP and paper towels). Remove the plastic from the TP and paper towels. If you use bins at the top, make sure they are clear and labeled. Lower Shelves: Grab and Go storage for kids (Carrie has 4!). Put items that are approved snacks in labeled bins on kid-friendly levels. Middle shelves: Corral all like items together. Use rotating trays for condiments and oils & vinegars. Use stair step trays for canned goods so you can see everything. Gather items like pastas in a large clear labeled bin. Floor Space: Use large baskets tucked under the bottom shelves for additional storage. Think potatoes, large bags of chips, pet food, paper products, linens. Sign up for my newsletter and receive this free PDF printable as a show of thanks for joining the Organize Nashville community. Happy November! One of the most common organizing mistakes is buying products before you know what you need. 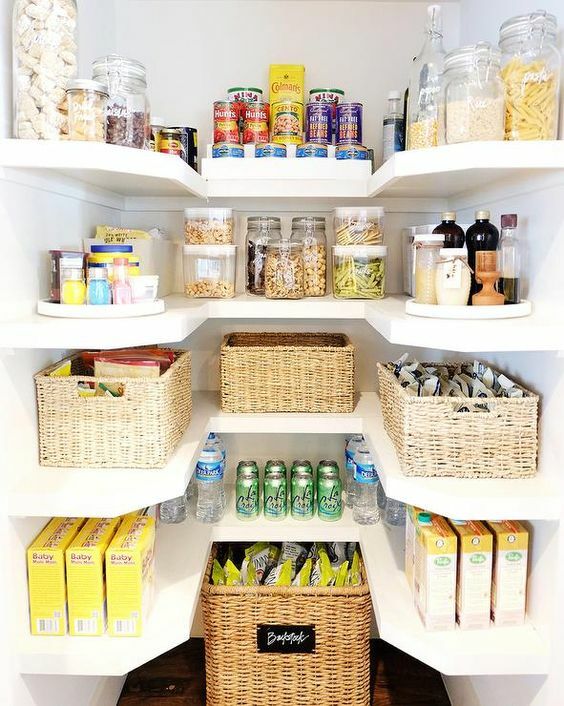 It is so fun to search for baskets and cute bins for your storage needs, but unless you know what you need and buy with purpose you will just be creating more clutter and an ineffective organizing system. When it is time to purchase those cute bins and baskets, make sure you measure the size of your shelves, drawers, and cabinets first. This will save you time and money. Falling into the trap of a storage unit. Don’t make the mistake of shifting your junk to another location. The monthly fees for storage units often end up costing more than the items inside. Plus if you can’t see it, you don’ t know you have it and likely won’t use it. There are many cost saving benefits of buying at super stores like Costco and Sam’s, but if you don’t have the space to store all those items they can take up valuable real estate in your cabinets and closets. Top things to avoid: sunscreen, condiments, and eggs because of their shorter shelf life.